Are you always trying to figure out what Apps are taking precious space on your iPhone/iPad? Well, think no more because iOS 12 has made it extremely easy for users to offload apps that are no longer required by them with the help of their specialized storage tools. You can find the tools in the following destination. Settings > General iPhone Storage. You will see different bands of colors representing different kinds of apps or videos and other media at the top of the window. The length of each band represents the amount of space taken up by each category. Below that colorful spectrum, you will see different options. These options are suggestions to free up space on your device. The first option is the iCloud photo Library option. 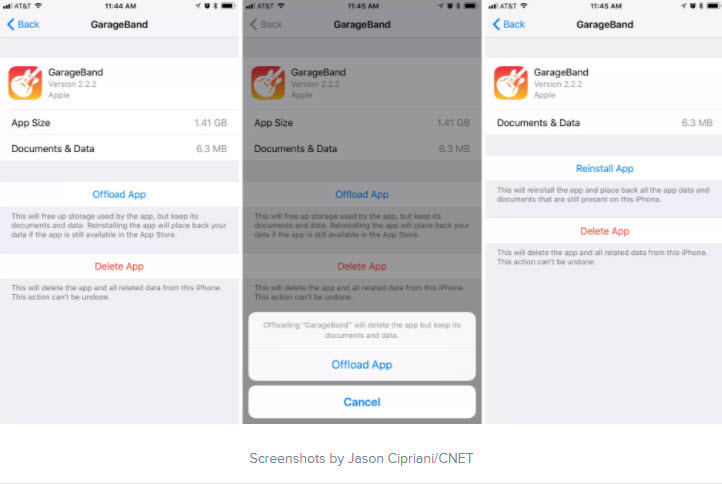 If it is not in your use, you can enable it which will store all your videos and other media to the iCloud serves and save up space on your device. Another option labeled "messages in iCLoud" will give you the ability to transfer all your iMessage attachments to online servers of iCloud and save up space on your device. It will also sync your iMessage conversations and messages to all of your apple devices. The review personal video option will help you locate all the videos that are currently stored on your device. You can choose to delete certain unwanted videos and free up space on your Apple device. Similarly, you can also click the Music pane and get a detailed list of all the music files on your device and easily delete the music that you no longer want. Apple has further increased user convenience by giving them another valuable feature. A message will appear on your screen when your device is low on storage, asking your permission to offload certain apps that you rarely use. All those apps that haven't been used for a long time will be deleted automatically. Don't fret! All the data associated with the apps will be saved in a secure location if you want to use the app in the future. To activate the automatic offload app feature, go to the following destination: Settings > iTunes & App Store. At the bottom, you will see an offload unused apps tab. The new storage tool in iOS 12 will be a user favorite because it will save the hassle of going through a lengthy manual process of deleting apps. 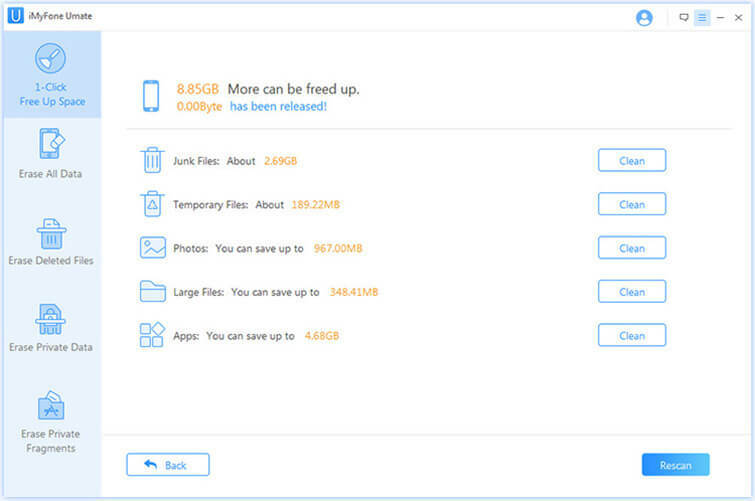 It will automatically off load media, apps and other data that takes a lot of space on your device without deleting important items needed by the user which will increase user convenience several folds. Many Users have complained that 32 GB is not adequate storage to accommodate large sized games and other apps and this feature will help users cope with this issue. Apple devices have many storage issues. Although, the Facebook app only takes up 5 megabytes of space, the cache data associated with it might exceed 400 megabytes in some cases. Android gives users the freedom to delete this cached data whenever they want, whereas iOS does not. The only way you can get rid of the cached data is by uninstalling the app and then installing it again which can be quite frustrating for the user. 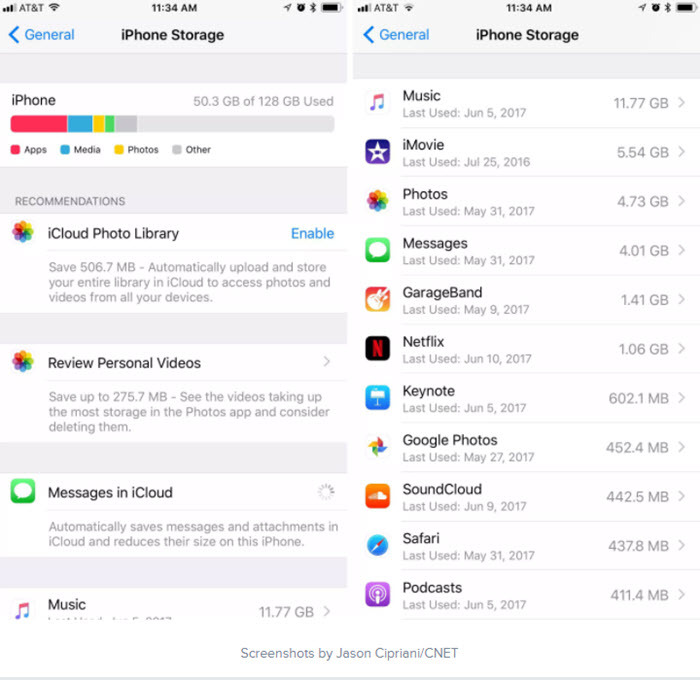 Everyone is buying the 16 GB version of the IPhone unaware of the fact that it is not even close to enough storage space for the user to store photos, videos and other data. And yet, Apple is adamant on selling this version because it is much cheaper than the other versions of the device. An easy way to free up space on your apple device is to get a really handy tool known as iMyfone Umate iPhone Cleaner or iMyfone Umate iPhone Cleaner for mac. 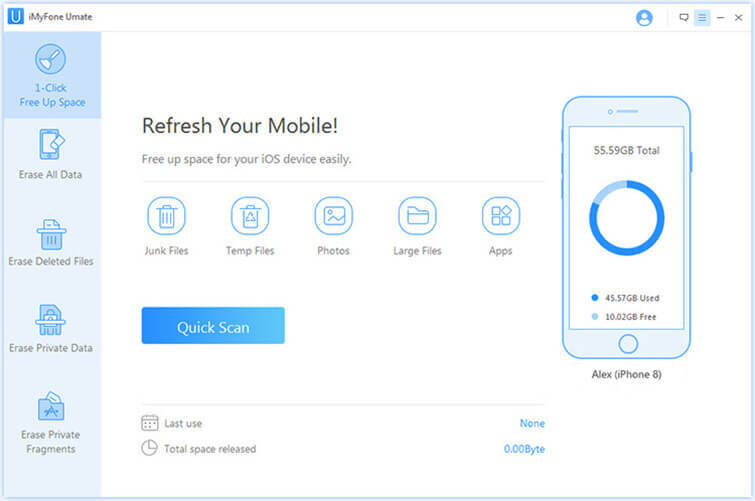 With it, you can completely delete junk files, remove hidden caches, clear up temporary files, export photos/videos and perform many other functions to get your iPhone storage back. iMyFone Umate iPhone Cleaner is highly recommended by makeuseof.com and macworld.co.uk. 30+ Junk files cleanup - All useless App caches, cookies, crash logs will be removed. Remove Stored Temporary files – These hidden files will be find out and deleted, so as to totally tune up your iPhone. Get Back Photo Storage - Umate offers many options: export photos to PC, compress photos, bulk delete photos. Manage Large Files – For large video or music files, you can also export or delete them. Uninstall Apps – With Umate you can preview and select multiple Apps to remove. Step 1. Download and install the program on your Mac or Windows computer and connect your Apple device. Step 2. Open Umate and click quick scan. The quick scan feature will analyze how much space can be saved. Step 3. After the scan is done, click the clean option after each option such as junk files or temporary files to free up space.